implants and specialists that are interested in enhancing their bone grafting techniques. Leukocyte- and Platelet-Rich Fibrin (L-PRF®) is an outstanding source of autogenous fibrin mesh used to enhance healing in patients requiring grafting procedures. L-PRF is a resilient and pliable material, created from the patient’s own blood. It is easy to manipulate and suture, can be trimmed to size, and is an ideal carrier for bone graft material. Uses for the material include bulking graft material, replacing graft material, using it as a barrier membrane, placing it in extractions sites for increased healing, and using it in guided tissue regeneration procedures. It is also ideal for extraction/immediate placement cases. Dr. Arshiya Sharafi obtained his dental degree at the University of Maryland Dental School in 2002. He went on to finish his Oral and Maxillofacial Surgery training at University of Maryland Medical Center and R. Adam Cowley Shock Trauma Center in 2006. Dr. Sharafi has trained extensively in Dentoalveolar Surgery, Dental Implants, Orthognathic Surgery, Maxillofacial Trauma Surgery, Facial Cosmetic Surgery, and Benign Head and Neck Pathology. Dr. Sharafi’s area of expertise is full arch reconstruction and bone grafting. 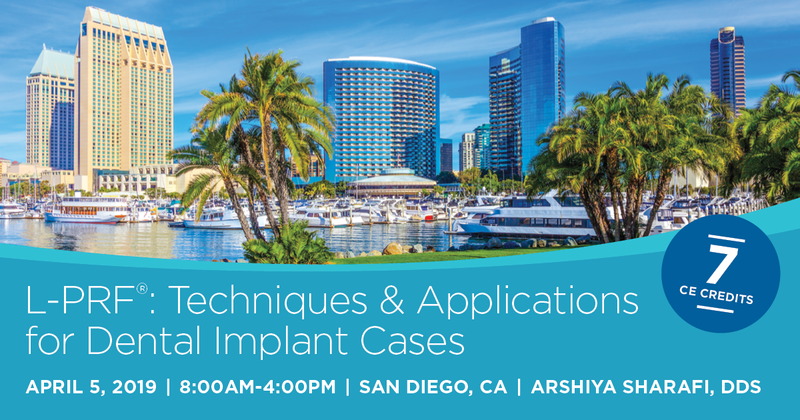 He has been the primary surgeon for a dental implant center in San Diego since 2011. Overall, he has performed over 2,000 full arch immediate load arches and his private practice is devoted mainly to full arch implant cases. 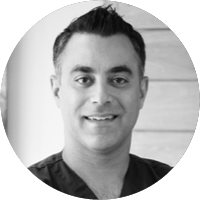 Dr.Sharafi is the surgical and clinical instructor for the San Diego and Rhode Island TeethXpress Full Arch Training Courses. Dr. Sharafi conducts a full arch surgery and conversion mentorship program in his private San Diego oral surgery office.